The Guides to Museums at Night have arrived! 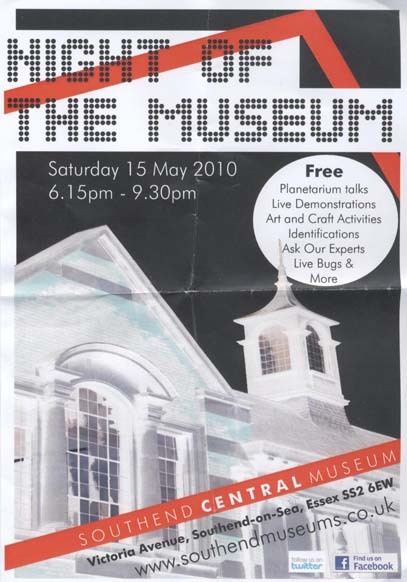 Posted on April 29, 2010 by Culture24 | Comments Off on The Guides to Museums at Night have arrived! Guess what arrived in our office today? It’s the latest edition of BBC History Magazine, together with their lovely pullout Guide to Museums at Night! The Magazine and Guide have gone out to the magazine’s 90,000 subscribers – hopefully lots of culture and heritage lovers will now know about the campaign. My Culture24 colleagues and I are delighted (and relieved) to have found homes for all of the extra 100,000 copies of the Guide, which have now been dispatched from the mailing house. Thank you very much to everybody who asked for copies of the Guide, and to everybody else who we phoned up and persuaded to take a couple of boxes, without having seen the finished product! Lots of you are taking copies around your local libraries, shops, cafes, and even hotels and guesthouses – here’s hoping we reach new audiences and get hundreds of visitors along. Another promotional opportunity came as a great surprise yesterday, when a producer from Radio Belgrade phoned up and recorded an interview with me talking about Museums at Night events in London! I think I managed to namecheck around 15 venues, and if the interview is streamed online, I’ll put up a link to it here. And finally, peeking inside BBC History Magazine, can you guess what they’ve listed as the Number 1 Thing To Do in May? Yes – go to a Museums at Night event! Museums at Night is Number 1! Comments Off on The Guides to Museums at Night have arrived! 14 days to go till Museums at Night: lots of good news! It’s Thursday morning and we have 14 days to go until Museums at Night weekend, May 14th-16th. Things are going really well – and I have a lot of good news to share with you. Thanks to our partnership with Visit England, Museums at Night got lovely coverage in both the Guardian and the Telegraph over the weekend. We’re celebrating breaking through the 300 event mark – as of this morning there are 309 Museums at Night events in the Culture24 database! We’re also delighted that writer and broadcaster Andrew Collins is supporting the Museums at Night campaign: read Culture24’s interview with Andrew here, where he shares his favourite memories of museums and galleries. He’ll be speaking at our Museums at Night launch at the newly refurbished Florence Nightingale Museum tonight, along with Lord Chris Smith. I’m really looking forward to meeting people in person who I’ve only phoned or emailed in the past – I’ll be wearing a dress covered in turquoise butterflies, so if you see me, please come and say hello! On the technical side, you’ll notice that there’s new functionality making it easier to search the Culture24 website for events near you. On the Museums at Night homepage it’s now easier to find events on the Google map by entering your town or postcode, then searching for events within 1, 4, 16 or 32 miles of you. You can also choose to display your results either on a map, or as a list. When you look at the list, you’ll see more information about what kind of event each one is, along with the first couple of lines of the event description. Finally, when you click through to the event, it’s now easier to distinguish the Museums at Night events from other ones taking place at the same venue: the Museums at Night ones are lightly shaded in blue and carry the patterned branding. Here’s an example from the Blists Hill Victorian Town record. 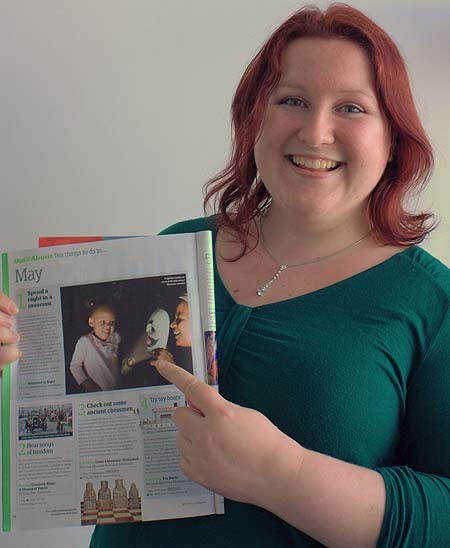 And in other news, Laura Crossley from Norwich HEART, who previously wrote this guest post for us, has been researching recommendations for staging sleepovers in museums, galleries and heritage sites – it’s all excellent advice if you’d like to know more about what might be involved in running a sleepover at your venue in future. 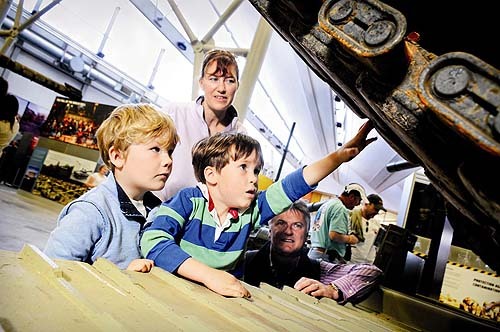 The tenth in our series of guest posts comes from Nicky Croom, Events Manager at the Tank Museum in Bovington, Dorset. As Events Manager at the Tank Museum I would say I am very lucky to organise and host some amazing events. We have lots of fun too – there isn’t a day that goes by without somebody being painted in camouflage cream or having to do some press ups! Putting on an event in our museum, like in all museums, puts your brain to the test. A lot of work goes into it behind the scenes, but the art of putting on a good event is to make it appear smooth and seamless (and to do lots of preparation). Museums at Night has been a challenging event to organise but an exciting one all the same. I wanted our Museum at Night event to be fun as well as informative, and after many weeks of ideas and meetings I think the result is fantastic. 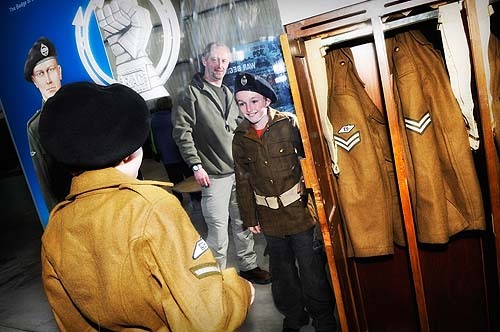 It gives our visitors the opportunity to see the museum by torchlight, with a guided tour where they’ll learn about night vision equipment used by the military from World War 2 right up to the latest kit used in military operations today. On the evening, they will get to have a go with some of the latest night vision equipment as they try to locate targets in the dark, as well as watching a night-time demonstration by the Military, and a chance to find out more about how vehicles’ crews see in the dark … it isn’t just about eating your carrots in the Army, although I’m sure that does help! You can find out more about the Tanks At Night event through the Tank Museum’s website or in our Culture24 entry. 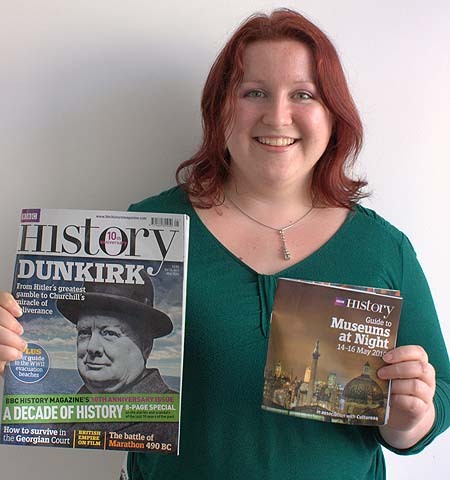 Nicky Croom is Events Manager at the Tank Museum. You can keep up with their news by joining their Facebook fan page or following @TankMuseum on Twitter. If you’re inspired to write a guest blog post for us, please contact Rosie at rosie@culture24.org.uk. I’ve just had a good chat with Thea Young of Sulgrave Manor in Northamptonshire, the ancestral home of George Washington’s family. To promote their Museums at Night candlelight tours on Friday May 14th, Thea explained that they’ve printed the event details on the back of every voucher they give to schoolchildren who visit the historic house, and they also make sure to slip event flyers into the envelopes of letters they post. Both sound great ways of getting the word out about your events to people who are already interested in your venue! Southend Museums have created an eye-catching night-time effect in this design by showing a photo of their building in negative – and as well as promoting Southend Central Museum’s free Night of the Museum event, they’ve also made it easy for people to link up with them on Twitter (where they’re @MuseumSoS) and Facebook. It’s great to see and hear about all the publicity venues are doing: please let me know what’s working well for you so I can share your good ideas! Don’t forget, if you want ready-designed poster or flyer templates to customise with details of your Museums at Night event, you can download them here. Animation competition: announcing the winner! Thanks very much to everyone who entered our Museums at Night animation competition: we were delighted to receive so many entries of such a high standard! Thanks very much to Sara Leatherland and all of the team at Kanoti for running this competition. We’re also very grateful to everyone who tweeted about the competition, and shared the press release around – this really made a big difference, and we’d love to get everyone sharing the excitement in the same way as Museums at Night weekend nears. Kanoti will be screening all these animations and many more as part of Bamboozled 2 in Jubilee Square, outside Jubilee Library in the centre of Brighton, on Friday 14th May from 9 – 10pm. I went along to their outdoor animation screening last year, which was fantastic fun, and would definitely recommend it this year too! 2 days left to grab a Relic: Guardians of the Museum trail! If you’d like to run a Relic: Guardians of the Museum trail and screen an episode of the popular CBBC show as part of your Museums at Night event, the deadline for contacting Frances Carey (FCarey@britishmuseum.org) to put in your request is Friday 23rd April. Yes, if you haven’t already planned your Museums at Night event, you only have 2 days to take advantage of this exciting partnership opportunity with the BBC and the British Museum! For full details of this offer, click here. 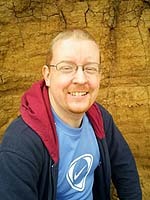 “In the run up to Easter it seemed as if every other parent I spoke to was raving about how great the Relic series was. 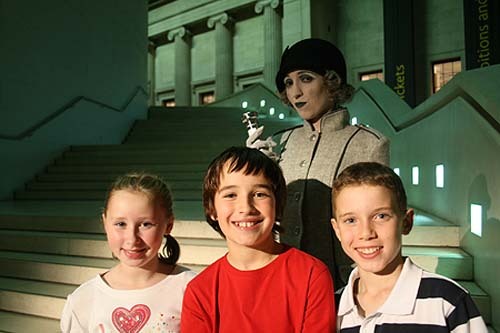 Children loved Agatha the tour guide, the challenges, the Dark Lord and the idea of being locked in a dark, spooky museum overnight; parents loved the fact that their children were learning so much about fascinating objects without even realising it. When the A History of the World newsletter came out asking museums if they were interested in developing their own Relic trails, there was no question that I wanted the Oriental Museum to be involved. “We developed a trail that had a couple of challenges that would be achievable for younger children and one or two harder challenges too. The objects were spread throughout the museum to try to get families to visit galleries they might not explore otherwise. There are five challenges so it didn’t take too much staff time to put the trail together on the template provided. The ninth in our series of guest posts comes from Robert Coleman, the organiser of the London Cultureseekers Group, who tells us why they’re so excited about visiting Sir John Soane’s Museum over Museums at Night weekend. 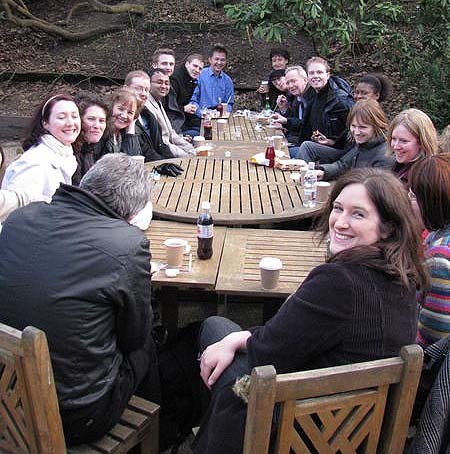 I set up the London Cultureseekers Group in August 2006. I’ve always loved exploring museums and galleries, but preferred to go with other people so we could chat about what we have seen. My friends didn’t want to go as often as me, so I looked around to see if there was a group I could join that does this. In London at the time, there didn’t seem to be one, so I decided to set up my own group! I set up a website, started organising events and in the 3½ years I’ve been running the group, it’s gone from strength to strength. We now have over 2000 members and visit museums, art galleries, go on guided walks and visit historical places, 3-4 times a month. It’s an extremely friendly group and offers a great way to explore London’s history and culture with other like-minded people. I try and get behind-the-scenes access and private guided tours to places as often as I can for the group as this really adds to the individual’s knowledge and understanding of a particular subject, historical person or painting. The Museums at Night weekend is going to be a fantastic opportunity for the London Cultureseekers Group to experience more of the history and culture London has to offer. We love exploring London and hearing about its 2000+ year history. We especially like exploring the smaller, lesser-known museums in London like the Cartoon Museum, the Cinema Museum and Sir John Soane’s Museum. The Sir John Soane’s Museum is one of my favourite places in London and I’m really looking forward to exploring it by candlelight on Museums at Night weekend. There is so much packed into his old house, it’s one of those places you walk round in amazement. On display there is everything from sculptures to a 3000 year old Egyptian Sarcophagus of Seti I to paintings by Canaletto and Hogarth – it definitely has the ‘wow’ factor for me! You can find out more about the London Cultureseekers Group through their website, www.cultureseekers.org. To find out more about Museums at Night events in your area, visit www.culture24.org.uk/museumsatnight. Thanks very much, Robert! If you’d like to write a guest blog post, please email Rosie: rosie@culture24.org.uk.